Gee Whizz and jolly hockey sticks!! 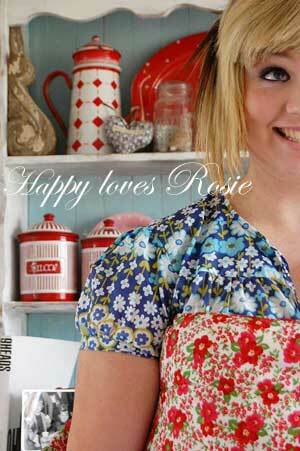 !….Happy loves Rosie is now in print and its all thanks to the lovely Tara Frey from ‘Typing out Loud’, as I am featured in her new book ‘Blogging for Bliss’!… Last year I got an email from Tara, to ask me if I would like to be included in her new book, and as you can imagine I was very flattered indeedy to be asked to participate. We have all had to keep it under wraps for quite sometime…but now finally I can share this wonderful news with you all!. 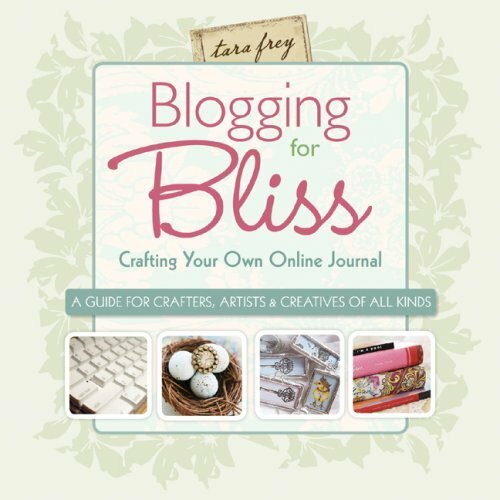 Her book is full of tips and info on creating the perfect blog and includes Tara’s 50 favourite bloggers… they inturn have been interviewed and it shows who inspires them…and why they created their blog etc etc. It also has info on what blogs they read too…so this really is a wonderful work of art and total inspiration for everyone in our blogging community. The book is out on August 4th, but it is available for Pre-sale HERE. Previous Post Red, White and Blue = REDNESDAY! Next Post Corners of my Humble Abode…. Just started reading your blog..I just moved away from Vancouver, which hosted the last Olympics, so it was interesting reading about your ideas and concerns..although it was the Winter Olympics here, and the venues were spread out around different areas, inside stuff was in downtown areas completely shut down for Olympic traffic only..it worked out okay here, because of improved public transportation, which I'm told London has an abundance of, so don't worry, people soon adapt..Have to say I really enjoy your blog, especially the all the colours..
Super duper happy congrats, Happy! I’m so excited about Tara’s book… now I’m even more excited knowing you’re in it too. Congratulations! I look forward to seeing your very own book one day, nothing but Happy!!!! Congrats! I’m so HAPPY for you! Can’t wait to find the book! How special! I’m so Happy for you! (pardon the pun). It’s always so fun to see something you’ve worked so hard on, in actual print! Your blog is always so much fun with all its splashes of red and doses of whimsy ~ congratulations. How exciting for you! I pre-ordered the book yesterday and I can’t wait to get it. I recently discovered you blog and I LOVE It!So happy and inspiring! !